The People’s Democratic Party (PDP) has said its guidelines for the 2019 general elections are not ready. 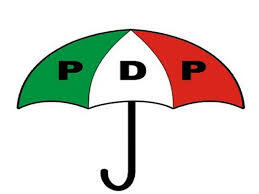 The PDP, in a statement by its National Organising Secretary, Col. Austin Akobundu (retd), said the National Working Committee(NWC) is still drawing guidelines for its presidential primary, as well as the guidelines for other positions. The party stated that when the guideline is ready, it would be presented to its National Executive Committee (NEC) for ratification. “The National Working Committee of the PDP, under the leadership of Prince Uche Secondus, is committed to adhering strictly to the PDP Constitution which grants NEC the power to formulate the guidelines for aspirants in any of its party primaries, the presidential primary inclusive. We appreciate the interest in the electoral processes of our great party and the party is always ready to respond to any enquiries and to make all necessary information available. “The authentic guidelines for PDP presidential primary election will be released as soon as they are considered by the organs of the party,” he added.